The crazy winter that stuck around too long has finally given way to warmer weather and periods of really good fishing across the south and middle state regions. Fishing has been up and down due to fronts and changing water conditions, but the warming has thrown fish into pre-spawn, spawn, and in some cases post-spawn. It’s great to see weekend fishermen out on the lake enjoying the sport. Sure, it’s crowded but we can’t blame fishermen for heading to the lake this time of year. I had the opportunity in March to fish with some BnM pro staffers and then attend the Crappie Masters tournament on Grenada Lake in Mississippi. It’s always a blast to fish at Grenada because you never know if the next bite will be a monster. I had a 2.90, 2.81 and got to net a 3.10. I enjoyed the fishing and got to take a lot of photos to go with interviews, tips and stories I’ll be sharing in magazines. A question arises this time of year. 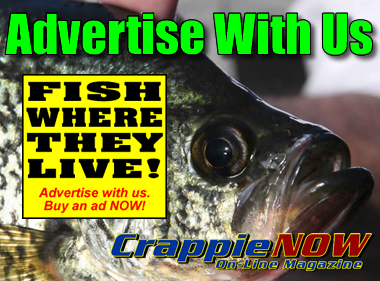 What is a big, slab crappie? Some lakes I’ve fished a 1.5 pounder is an excellent fish you can be proud of catching. Mississippi lakes and a few others have much higher expectations. A Wildlife Officer at Grenada hates to see people just take the 3-pounders for granted. He says a 3-pound crappie is the equivalent of a 12.06 pound largemouth. There are lakes in Texas, Mexico and Florida where the big bass can be caught but seldom do you see a 12 pounder anywhere else. 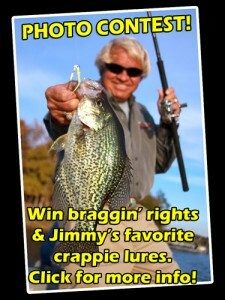 Same with crappie. Few places produce 3-plus pounders. So, like in deer hunting and bass fishing, the size crappie considered to be a big slab is relative to the region and water you are fishing; not to be judged just by the premier big crappie lakes. 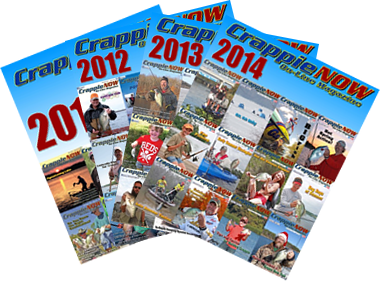 May CrappieNow Magazine has good fishing tips for lily pads, rigging a boat and other typical how-to information. However, fishing is more than just the nuts-and-bolts of catching fish or throwing a fillet in the grease. Keith Sutton sets the mood in a unique article you’ll enjoy. 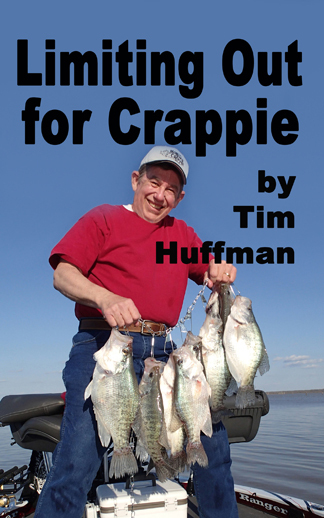 Darl Black shares some in-sight of a writer’s crappie camp. Hope you enjoy it.